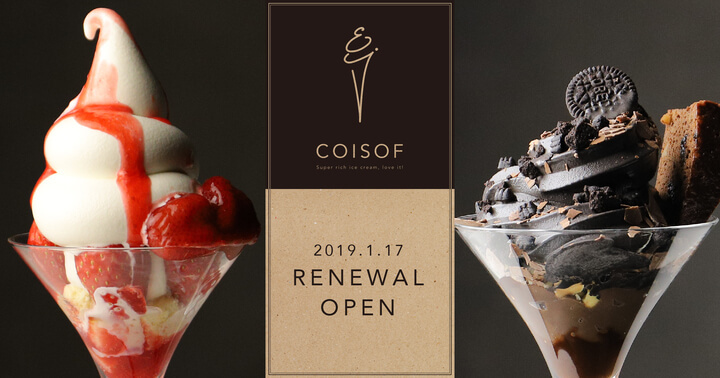 The Ginza branch of the popular ice cream shop Coisof reopened on January 17 after undergoing renovations. It has transformed into a posh and sophisticated new store serving mature desserts. Since opening in Harajuku in August 2017, Coisof has garnered much attention for its Instagram-worthy ice creams topped with ‘oiri,’ traditional soft candy balls from Kagawa. 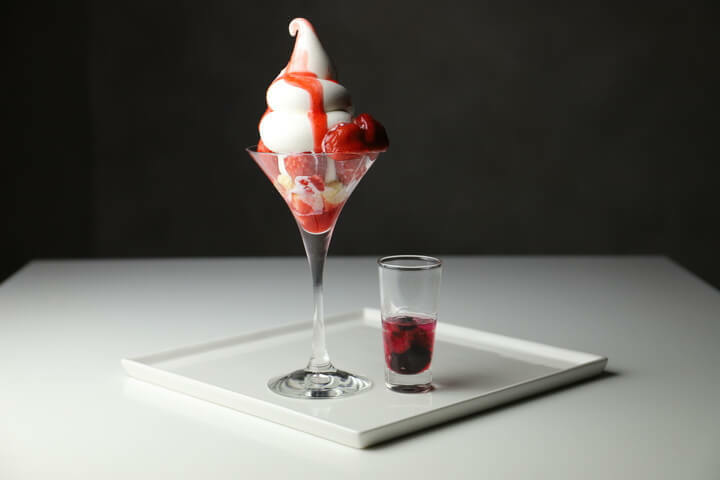 It will maintain that same rich flavour but now serve parfait-style desserts doused in liqueurs and other refined ingredients. The new Coisof opened in re:Dine GINZA which is a short 1-minute walk from Ginza Station. This parfait is made in the image of a classic shortcake. The ice cream is packed with the sweetess and full-bodied flavour of milk from Hokkaido and is drizzled in a sweet and sour strawberry sauce. It’s served with fresh strawberries and an optional strawberry liquor. This jet black parfait contains an ice cream mixed with sesame paste, bamboo charcoal and black cocoa powder. 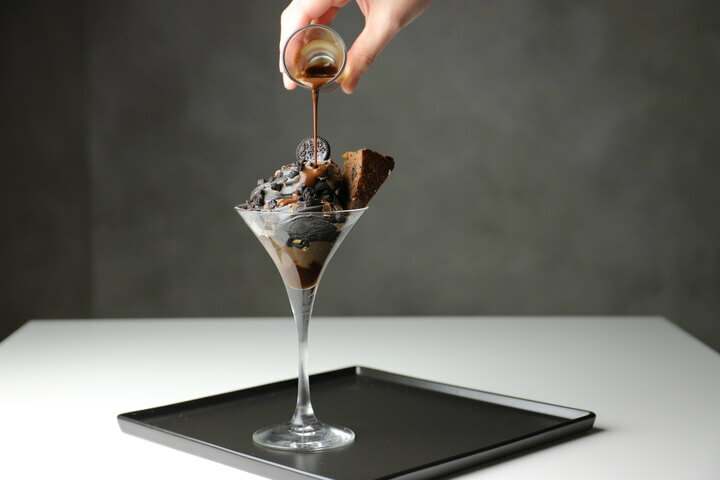 It is topped with chocolate pudding and chocolate brownie before a rich coffee liquor is poured over. If you’re looking for sophisticated adult desserts then look nowhere else but Coisof Ginza.